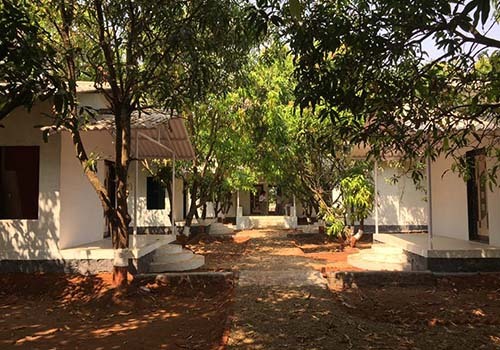 Kolad is located on the banks of Kundalika river in Roha Taluka, Raigad District. Distance from Mumbai is 130 kms approx. and from Pune is 100 kms approx. 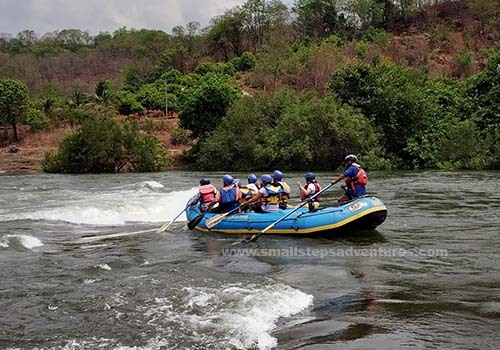 Kolad is famous for River Rafting in Kundalika River. 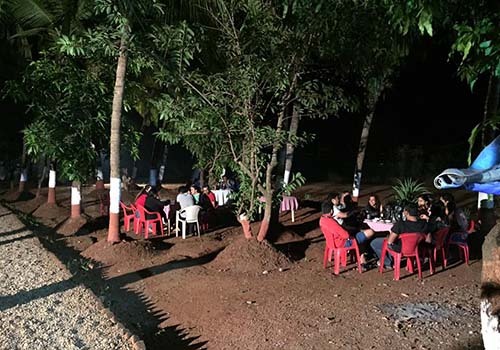 Apart from river rafting, Kolad is also famous for other nearby tourist destinations such as Ashtivinayak Temple at Pali, Bhira Dam, Hot Springs of Unheri – Kanheri and awesome Avchitgad. 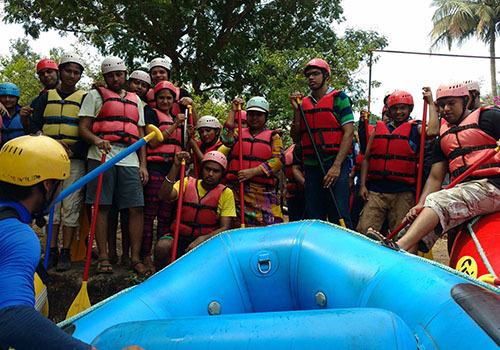 Enjoy the river rafting in Kundalika river before relishing the joy of camping at our campsite. 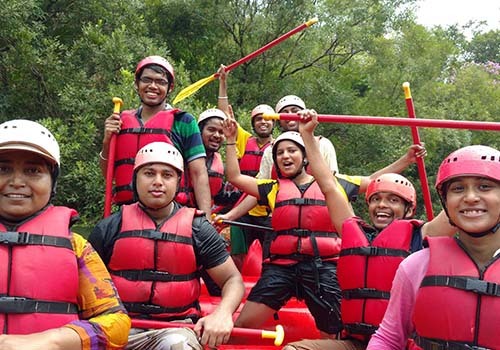 We also provide various adventure activities such as Zipline, Low Rope Course, Archery, Rifle Shooting, Burma Bridge, Monkey Trail and many more. Meet at our campsite around 6 pm in the evening. Relax yourself as we will allocate your rooms and freshen up before we begin our bonfire session. We will begin our bonfire session around 8 pm with disco type/ peaceful music enjoying the swaying of palm trees. Enjoy the local delicacies around 9 pm before calling for the day. Wake up around 7 am, freshen up and enjoy the breakfast as we will head to Kundalika river rafting location. 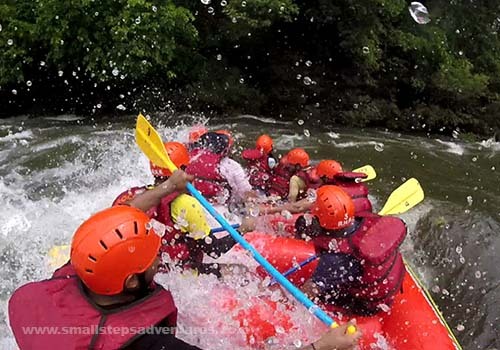 Cherish the Challenge of White Water rafting as you avoid surrendering to the Kundalika River. 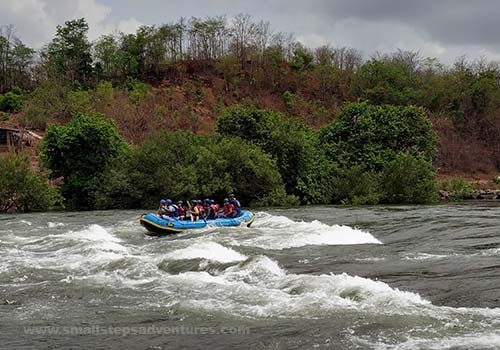 Enjoy the views that Kundalika river has to offer as you pass by various palm and coconut trees. 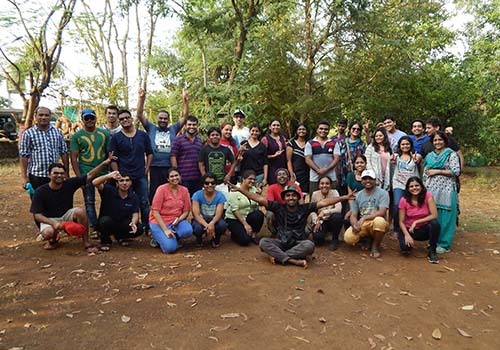 After a refreshing session of river rafting, we will head back to our campsite around 12:30 pm to enjoy delicious local lunch. 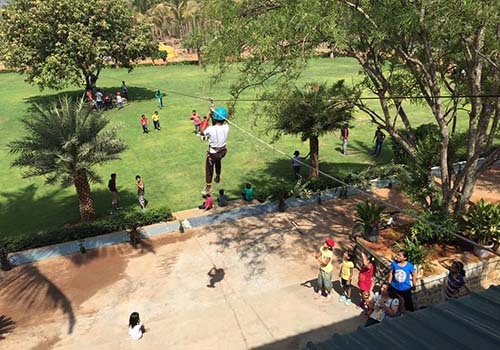 Enjoy the adventure activities post lunch that the campsite offers at an additional cost such as Archery, Rifle Shooting, Burma Bridge, Low Rope, Monkey Tail and many more. We bid adieu thanking you for giving us an opportunity to serve you and provide you an experience. Pl enjoy the evening tea around 4:30 pm with us to share your feedback. ● Carry woolen clothes or jacket; with muffler, shoes or warm cap for the night. ● Please carry ID proof eg. Pan card, driving license. ● Camp Manager's decision will be final and binding. ● Telephonic confirmation is mandatory; if unable to contact us then send a text message and we will call you back. ● Please avoid wearing Gold jewelry.